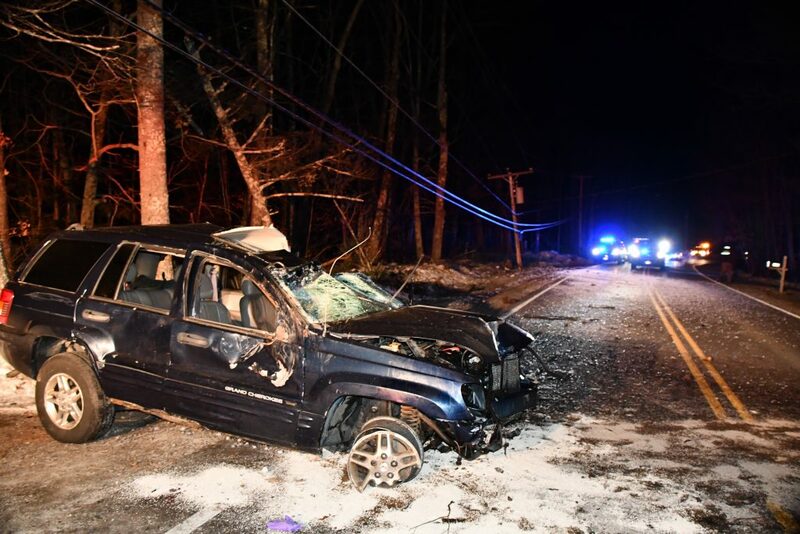 Joseph Turner, 26, was ejected from his Jeep after crashing into a utility pole. A Gorham man was seriously injured early Saturday following a short police chase in Standish, just hours after another police chase in Standish. The Cumberland County Sheriff’s Office said Joseph Turner, 26, was operating a 2004 Jeep Grand Cherokee in the wrong lane on Chadbourne Road at 12:58 a.m. Saturday when a sheriff’s deputy spotted him and tried to stop him. Police said Turner sped up instead, but crashed into a utility pole less than a half-mile down the road. The vehicle rolled over several times. Turner was ejected from the vehicle and pinned beneath it. He was freed by Gorham emergency medical technicians and taken to Maine Medical Center in Portland with serious but non-life-threatening injuries. Turner was operating without a license and had several convictions for operating under the influence. Police said they are continuing to investigate the crash. Turner faces several charges, including operating under the influence and operating with a revoked license.